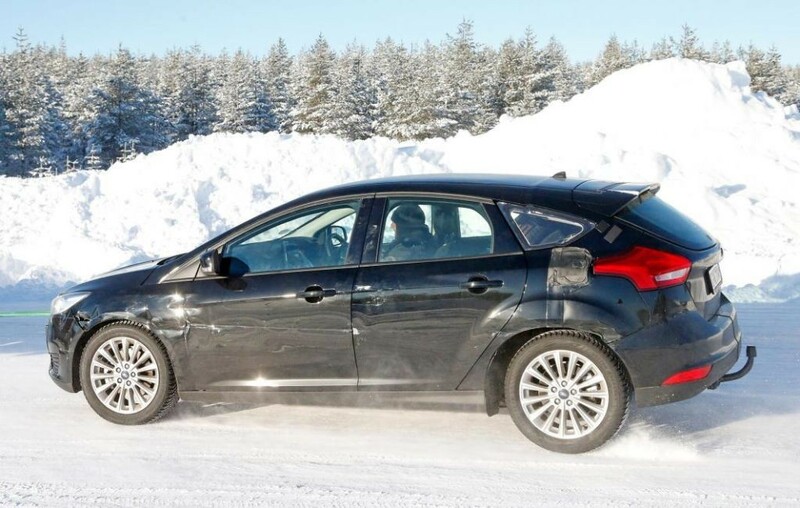 de Ford Focus z’n 20e verjaardag viert in 2018. We zijn enorm nieuwsgierig wat ze voor ons in petto hebben. Spannende tijden zijn aangebroken. 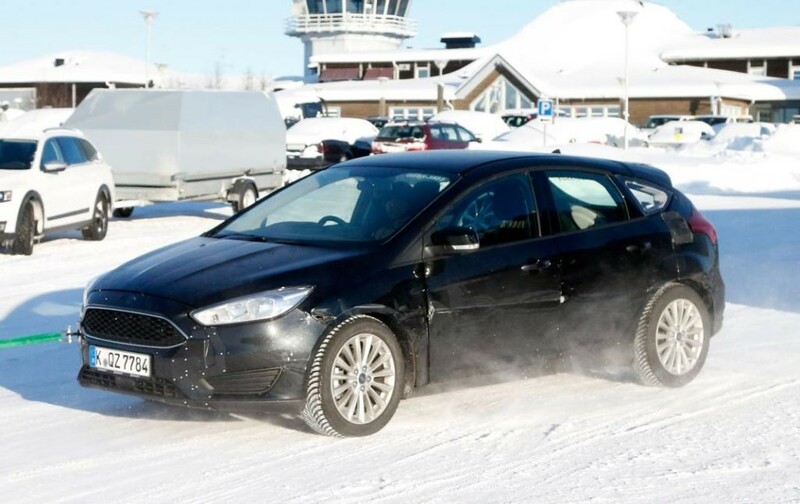 New Ford Focus test mule spotted before 2018 debut. 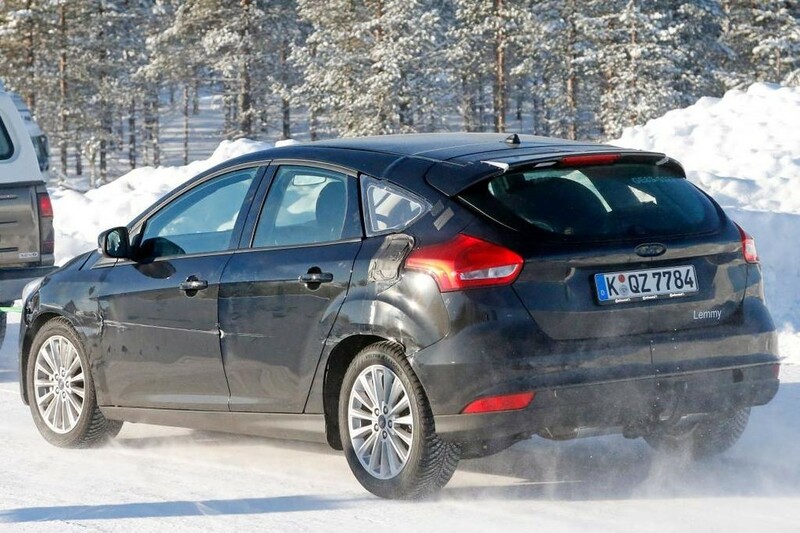 Bigger, more upmarket fourth-gen Ford Focus will arrive in two years time. 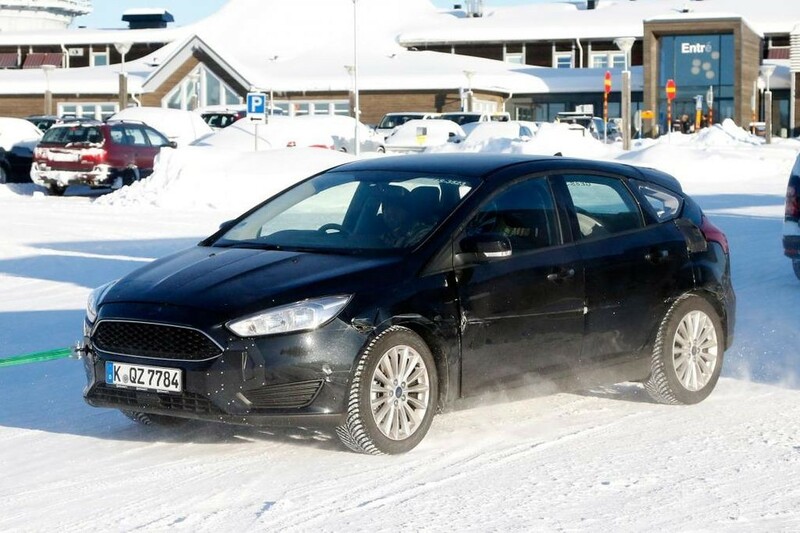 As we reveal our exclusive look at the next Ford Fiesta, spy images of a test mule for the next Focus hatchback have also emerged. The knock-on effect of the Fiesta supermini’s move upmarket is that the Focus, currently criticised for its relative space shortage compared to newer rivals, will grown in size. Although these images show a makeshift body of the current car, the chunkier arches and altered panels prove exterior dimensions will swell. 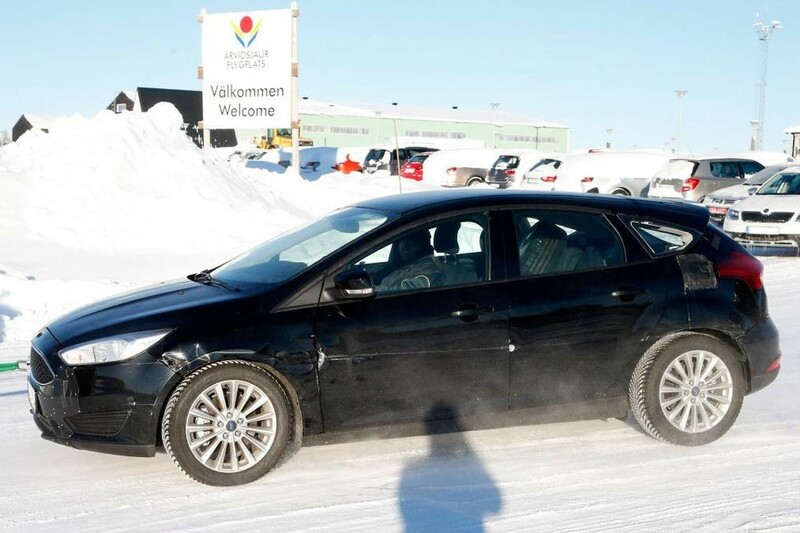 Expect a modest increase in the wheelbase to allow the Focus to catch up with the Astra and VW Golf for legroom, while the current car’s small boot should grow significantly. We will also see Ford’s latest ‘SYNC 3’ infotainment system, and a greater emphasis on quality materials. 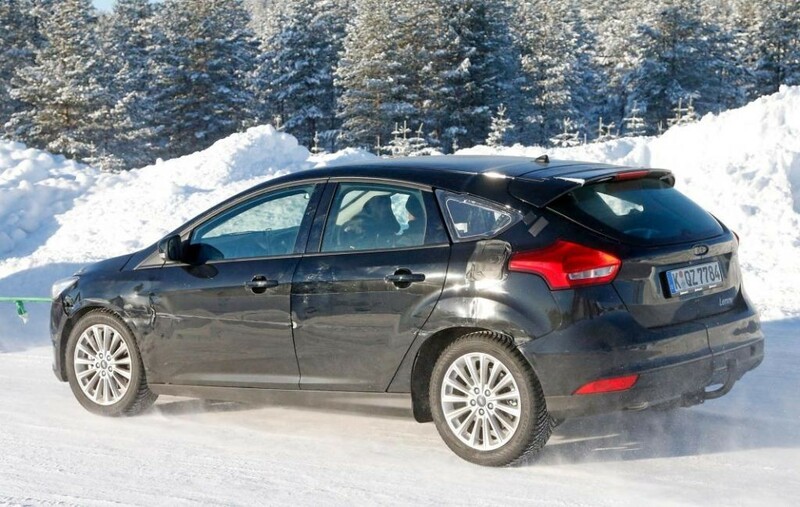 The next Focus will also get revised versions of Ford’s EcoBoost petrol engines, but the brand remains committed to diesel technology, too. It recently applied to register a patent for the name ‘EcoBlue’, which is tipped to be a badge for a new line-up of lean diesel tech. Elsewhere, the other model in Ford’s small car line-up will be a replacement for the EcoSport small SUV. Ford sources say the brand is happy with how the revised version of the car has been selling in Britain, but it’s still likely to get a fairly early replacement, perhaps in 2018. 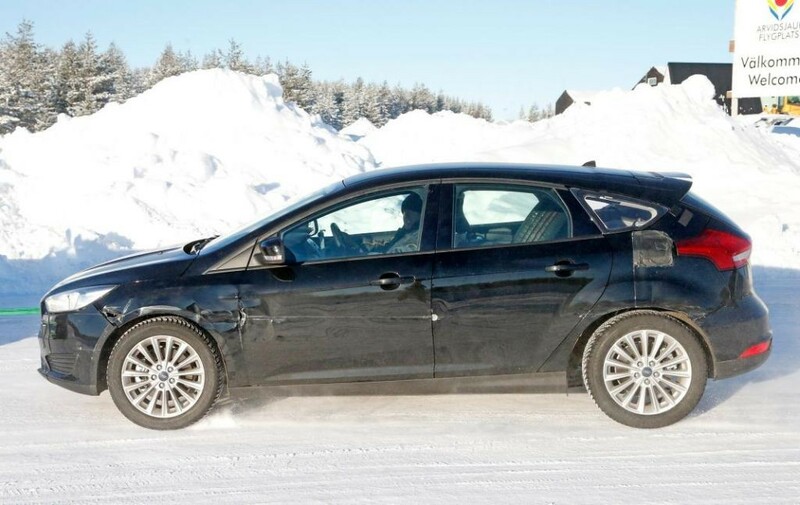 This model will bring greater refinement and interior quality on a par with the new Fiesta’s.